Alston Sir Rowland Bart., brother of Sir thomas Alston [q.v]; adm. (aged 8) Jan 1735/6; left 1743; Clare Coll. Cambridge. (adm. pensr. Sept 28 1743); matric. 1743; Ensign 1st. Foot Guards April 11 1745; Lieut. and Capt. Feb 26 1748; Capt and Lieut Col. May 2 1758; retired July 30, 1762; succ. his brother Thomas as 6th baronet July 18 1774; High Sheriff of Beds. 1779/80; m. Gertrude, daugher of the rev Dr Durnford; d. June 29 1791. Ref: Old Westminsters Vol I. NZSOG. Sir Rowland was Col 1st Foot Guards; High Sheriff of Bedfordshire 1779 - 80. Will dated 22 Mar 1790 proved PCC 13 July 1790 by Dame Gertrude his relict and devisee. Died aged 64. Upon his death the Odell Baronetcy became extinct, the title was nevertheless assumed by John Alston als Wasse, then his brother Charles Alston als Wasse. Died s.p. Rowland & Gertrude's marriage is recorded both at The Fleet & St George Albermarle St? Rowland inherited his father's manors in Pavenham, they then passed to a nephew, remaining in he family until 1845 when the estates, originally the Tyringham and Tyrrel Manors, were sold to the Duke of Bedford, who bought up Stevington at the same time. Ref - PAVENHAM, The Life story of a Village by Rachel Marchbank. Published 1993. The Times Friday July 8th 1791 Pg 3 Died. "Wednesday the 29th ult at Odell Castle Bedfordshire, Sir Rowland Alfton Bart. Being the laft of that ancient family, and dying without iffue the title is extinct"
At Odell castle co. Bedfordshire Sir Rowland Alston Bt. being the last of that ancient family and dying without issue the title has become extinct. A ledger stone in the west end of the nave at Odell Church is inscribed "Sacred to the memory of Sir Rowland Alston Baronet who died the 29th Day of June 1791 aged 64 yrs. Also of Dame Gertrude Alston his widow who died on the 14th Day of March 1807 aged 75 yrs"
THE WILL OF SIR ROWLAND ALSTON OF ODELL CASTLE Bt. I give my real estates unto my wife, Dame Gertrude Alston, and her heirs, also my personal estates and effects, and appoint her executrix, and George Brooks, of Green Street, Grosvenor Square, executor of this my will. Proved 13th July, 1791, by Dame Gertrude Alston, widow, relict of deceased, and George Brooks, Esq., executors named in said will. Officers of the Militia 1805 - Gentlemen & Yeomanry Calvalry War Office 14 October 1805. Bedford & Odell. 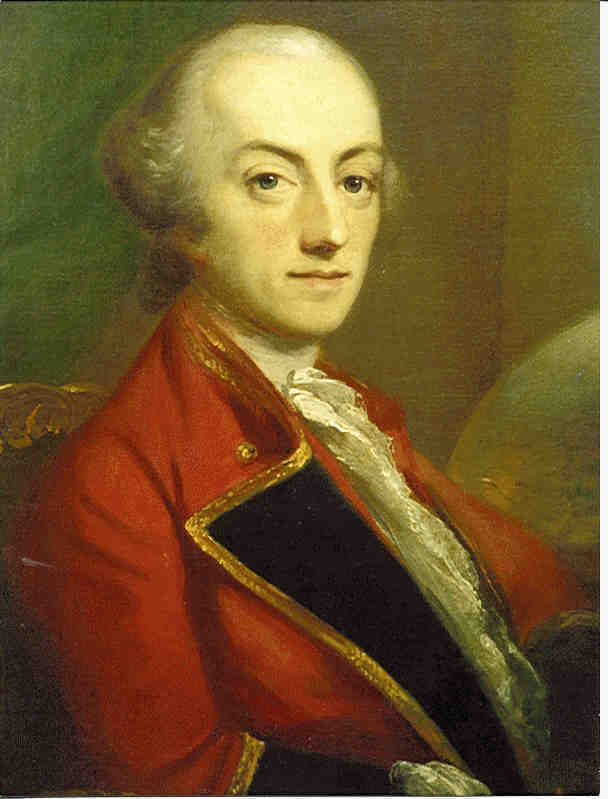 Capt Rowland Alston 3 Oct 1803. In the absence of any other Rowland Alston to fit this entry it is placed under Sir Rowland albeit he was dead ! 1. 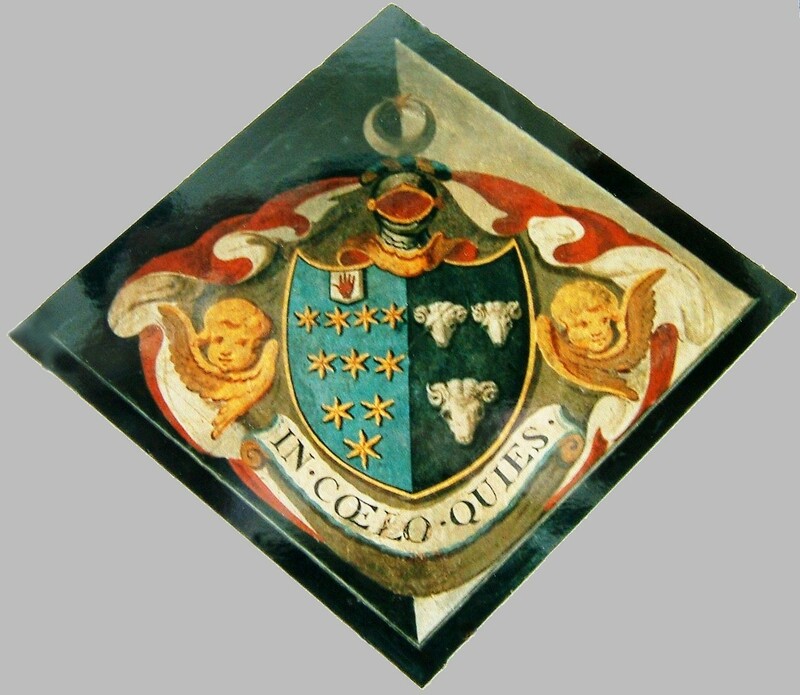 Hatchment Odell Church: Sir Rowland Alston & Gertrude Durnford. 1 - Alston impaling sa. three rams heads cabossed ar. armed or. Durnford. IN COELO QUIES. Ref: Harvey - Hundred of Willey co Bedfordshire. Refer Gen Francis Alston  re correspondance in the 1950's about the hatchments.